The ever-popular Christmas Santa special events at Ruislip Lido Railway are back for 2018! 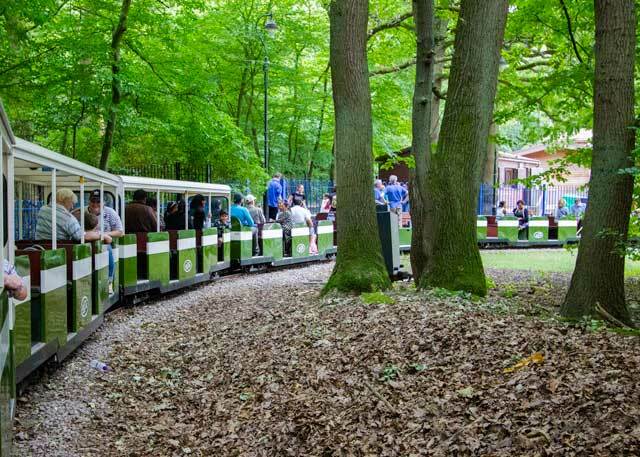 Much to the delight of children and adults alike, you can ride the Ruislip Lido Railway to Santas tempory accommodation, and receive a Christmas present to boot! Trains will run regularly from approx 11:20 am until 5:00 pm. You should allow approx 1.5 – 2 hours for your visit. In addition to meeting the big man himself, pop into our Turntable Tea Room where there will be our full range of hot & cold drinks and light refreshments. And for every hot drink purchased in our Tea Room, you’ll get a FREE MINCE PIE! Do please note that this is an outdoor event, and even Santa himself cannot control the weather, so you will need to make sure you’re wrapped up appropriately well to keep you warm, snug, and dry. Also, note that Santa looks forward to having a chat with EVERY child that comes to see him, so there may be a short queue to see him in his grotto. Car Parking – Please note that the local Council have introduced car parking charges. Click here for details. As you may need to park in the larger car park, please factor the 5 minute walking time to the station in to your visit.